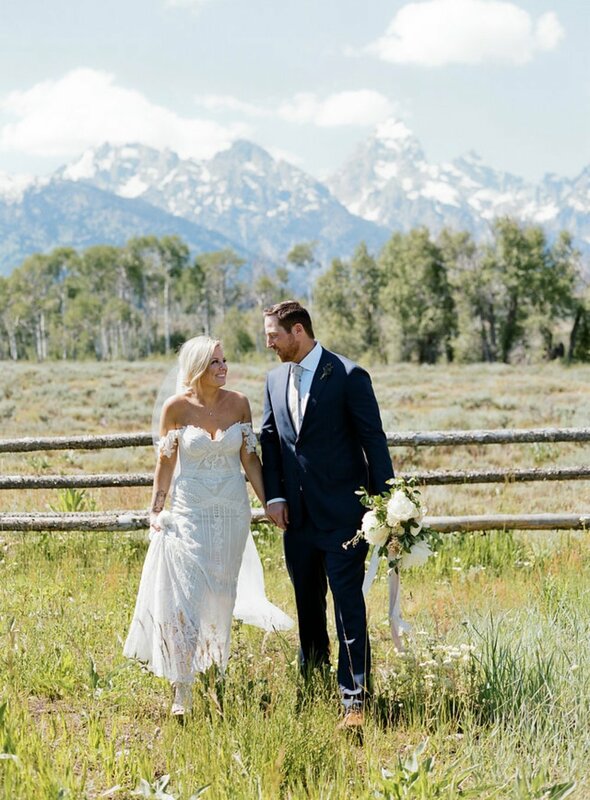 Katie looked like a dream in Rue De Seine's Fox gown as she said "I do" to her groom this summer in beautiful Jackson Hole, Wyoming! 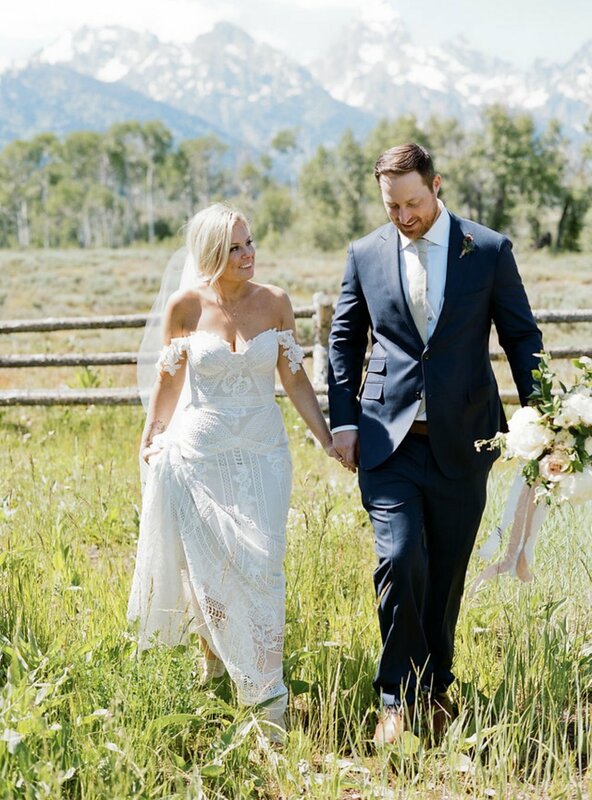 We love how she styled her bridal look with a simple flower crown, loose curls, dainty jewelry, and can we talk about that custom jean jacket?! Keep scrolling for more photos of the happy couple on their special day! 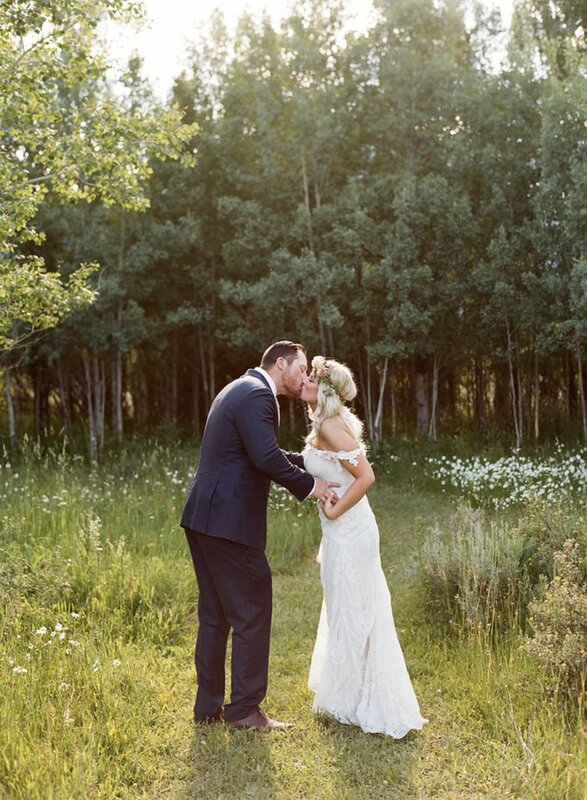 If you love the Fox gown as much as we do, schedule an appointment to try it on for yourself at our boutique! And if it's Rue De Seine's bohemian flare that's stolen your heart, we are so excited for the September arrival of their newest swoon-worthy collection!